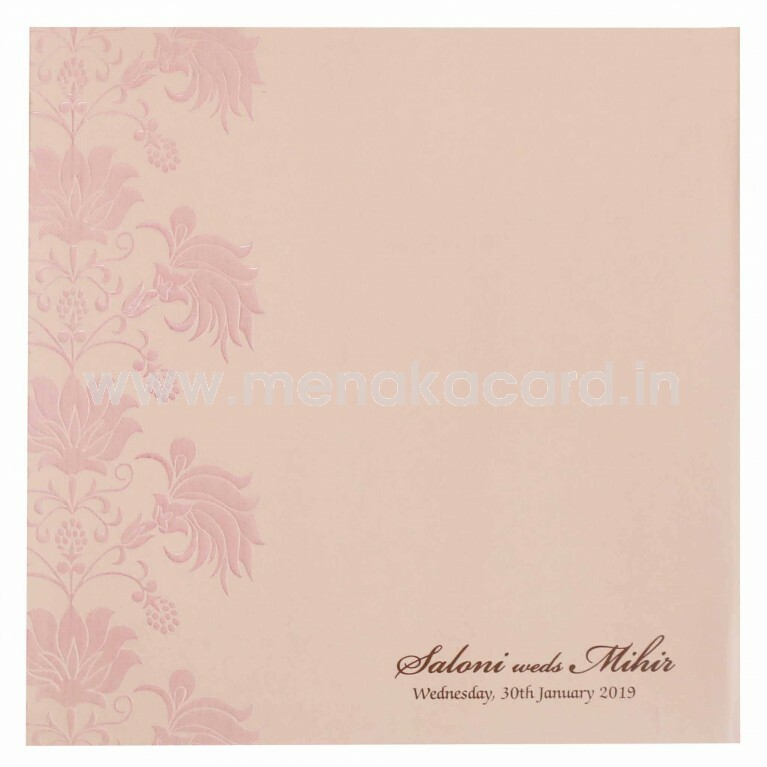 This Chic blush card is made from a matte finish artboard having a semi-traditional glossy floral filigree design embossed into the left-hand side of the card with the names of the couple inlaid in gold foil inside a smaller floral filigree design. 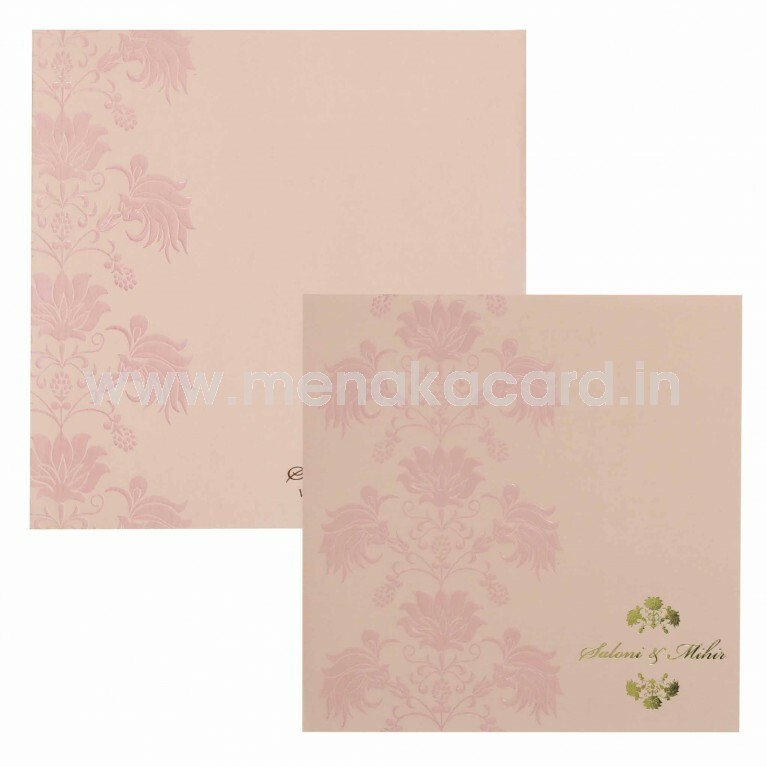 The inserts of the card sit inside a die-cut floral pouch and can be made from green, khaki, pink and white matte boards. 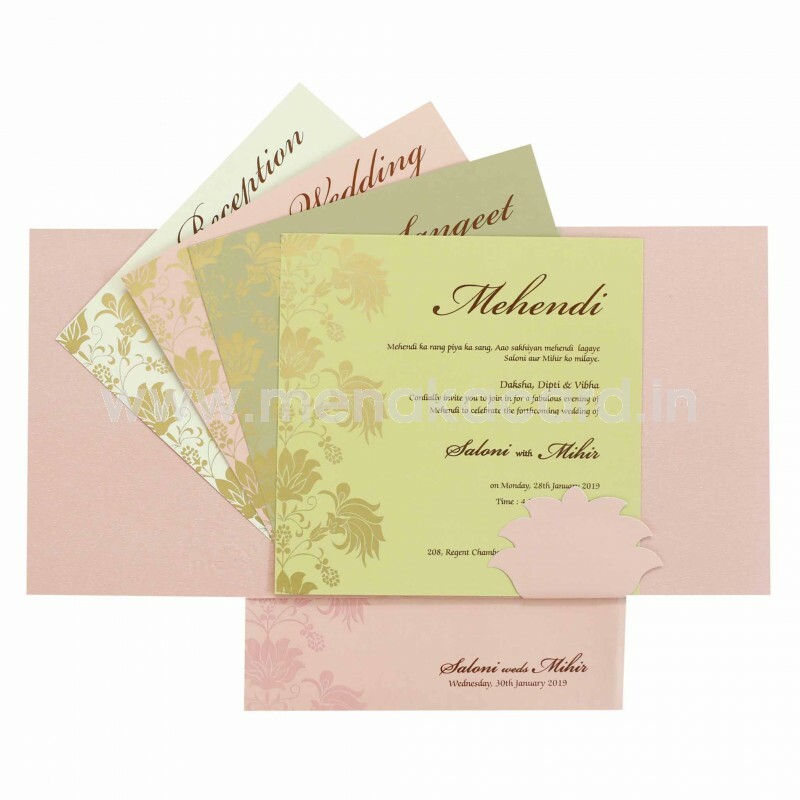 This can be used Hindu, Christian, Muslim and Multi-faith weddings as well as receptions and engagements.